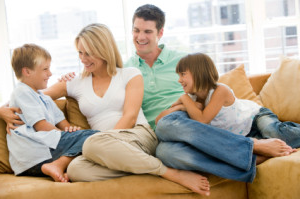 Read what our customers and industry professionals say about Healthy Living Air Duct Cleaning. Great job, took pictures to show what was completed. Friendly and very flexible with scheduling. Friendly, kept in contact, price was lower than phone estimate. Left a bit of a mess on the carpet which was easily vacuumed. Jonathan was very efficient and neat. I am very satisfied with his work and will definitely hire him again. Very professional. He wore cloth booties while in the house. Left the house clean. Good, honest, quality work done at a fair price. That sums up what I think of Healthy Living Air Duct Cleaning. They even have a camera to put into my duct work and show me how dirty my air ducts are. They turn on the camera again when they finish the job and show me how clean they got them. That proof is peace of mind that a job was done completely, correctly and honestly. They don't quote one price and then add on other charges like some other companies. You can't go wrong with Jonathan and his team! Give them a call and breathe easier (especially if you have allergies). We were ready to replace all are ducts in whole house to improve air flow quality. Johnathan came at our convenience punctual, clean, and ready to work. He was very informative and explained how everything would operate. After a few hours he had improved are airflow of our vents by 100%. For the first time in 14 years I could hear the air coming out of the vents. Very Satisfied with everything. Johnathan, the company owner, came the day after contacting him to give me an estimate. The work was scheduled for the next week. He did all of the work requested plus he left the house as clean as when he came in. He even cleaned up the lint on the outside of the house that had gotten on the screens and ground when he cleaned the dryer duct and vent. The final cost was exactly what he had estimated. I would certainly recommend him to any of our friends who are looking for vent cleaning. Healthy living Air Duct Cleaning cleaned my air ducts and my drier vent. I was very happy with the price and the quality. They were very clean and polite answered all my questions and walked me through the whole process. I did not even have to ask to see before and after picture. I was very happy with this company. Johnathan was very pleasant and called me as soon as he received my message. He explained my options. Also called me the day before my appt. and let me know when he would be here. He did an great job. The new dryer vents and shields look great on our Condo building. I will use Johnathan again to clean our vents and also tell the Condo owners about him. Very happy with him. I had been looking to have my ducts cleaned and had read the reviews from Healthy Living Air Duct Cleaning. I liked what I read and had decided to call them on Monday. About a hour passed since I was on Home Advisor when Johnathan (the owner) called and asked if I had any questions that I needed answered. Johnathan was very informative about his company and we set a appointment . Johnathan also gave a reminder call the day before service to make sure we were still on the same appointment date. I am very pleased with the work preformed. I saw our vents with the camera before and after. I happen to have wood ash in our vents and Johnathan gave me a referral to a Heating and cooling company to look into the reason for having wood ash in our vents. We do have a natural fireplace. I would also like to say that we had our vents cleaned by another company 3 years ago and that company did not offer a camera to view inside the vents before and after. I had always felt that the vents were not totally cleaned. With Healthy living air duct cleaning I am now confident that our vents are squeaky clean after viewing the work done. I highly recommend this company. Our house was built in the 60s. Shortly after we moved in, we noticed a faint pet odor. Jonathan did an amazing job removing that smell and all the pet hair that went along with! He was thorough, professional and hard working. He explained his process along the way while showing me the ducts before, during and after. He went above and beyond in providing exceptional customer service. I am a very happy customer and would highly recommend him. I really liked that the owner of the company was the person who showed up at my door and performed the work himself. Excellent! My wife and I were so excited to buy our first house. The bank installed a new A/C, furnace, and had all the ducts professionally cleaned and inspected. My wife has allergies and our house still had an odor after vigorous cleaning and painting. I heard from a neighbor good things about Healthy Living Air Duct Cleaning and figured I would go for their free camera inspection. The camera revealed filthy ducts that were very haphazardly cleaned. Mr. Janusiak then explained his methods and showed us how his company was unlike any other air duct cleaner in the area. We decided to give him a try. He personally hand cleaned and sanitized each duct in our entire house with a rotating brush and chemical treatments. Afterward he showed us the new camera inspection and it was spotless. I now understand the difference and mixed reviews about so many air duct cleaners. My wife's allergies have dramatically improved and our house smells eons better than before. I've seen coupons and advertisements all over, but I would highly recommend Healthy Living Air Duct Cleaning. Their methods blow the bargain air duct cleaners out of the water, and he even shows you the results afterwards. I recommend Healthy Living Air Duct Cleaning to my friends and family frequently. Healthy Living Air Duct Cleaning did an outstanding job. The team was personable and trustworthy. I was made aware of the procedures that were going to happen during the course of cleaning and was shown before and after clips. Before they even walked in they laid a mat down. I would strongly recommend them to friends and family. Did a great job cleaning my air ducts. Amazing price very honest. I would recommend him. Johnathan showed upon agreed timetable. He's friendly person, willing to work with me (a deaf client!) via texting (smartphone) & paper/pen with visual cues along with showing of camera/pictures. Very professional and effective - did outstanding job on cleaning the vents. On plus side - the prices were very reasonable - much lower than expected and makes it worth your time! Jonathan did a great job on all the vents in my house. He is very knowledgeable about the different types of processes and explained how his services are better than others. My ducts and vents look brand new, in 40 year old house. I would highly recommend Healthy Living. Great customer service. Followed up immediately upon my request for a quote. Scheduled a visit, called before arriving, arrived on time. Great job. Very happy. Now they will clean all my heat and cold air ducts. I have had the pleasure of having Health Living Air Duct Cleaning clean the duct work in my office. As a chiropractor, I am concerned about both my own health as well as that of my employees and patients. Health Living Air Duct Cleaning came and evaluated my office and showed me all the build up with in the vents and duct work. Jonathan was professional and very thorough. As an allergy sufferer, I immediately noticed a difference. I have also had many patients comment about the air in our office without even knowing the work was done. I was so satisfied by the work that was performed, I even had Jonathan clean the air ducts on my own home. Jonathan does an outstanding job. I have already, and will be continue to, recommend Healthy Living Air Duct Cleaning to all my patients and friends. Jonathan did an awesome job cleaning the air ducts. I was amazed at the amount of dirt and dust that was removed. We had this service performed before but obviously they did not do a good job. Do not be afraid to spend a little more money to have this job well done. You do get what you pay for or not. Jonathan was prompt, professional and extremely helpful. I'd recommend him to everyone. Johnathan was polite, professional, and efficient. He did a thorough job. He was very friendly and made it comfortable dealing with him. It was obvious that he took pride in his work. I highly recommend him to others. There was not the correct service to pick from. I had requested someone with a camera to inspect one heat/ac supply line as I was not getting much air flow. Johnathon called and he came out to inspect for a blocked or damaged supply line with his camera. After the inspection he told me the line looked fine and the problem was probably due to an imbalance in air flow and could be corrected with some adjustments on each supply line damper. He does not perform this service but explained to me how to go about it. He also pointed out that some info I had received in the past regarding my hi-lo air returns was incorrect. I had been told to block off the upper vent in winter with a magnetic cover and open the lower vent. In the summer I was closing the bottom vent and opening the top vent. He stated the reason the top vent did not have a manual adjustment on it was because it was meant to be open year round. So when all was said and done I asked him how much and he said there was no charge to diagnose the problem only if he needed to perform any cleaning or repair. He was very professional. He will get my business in the future if needed, thanks so much. Outstanding job. Very professional and was a consummate professional. Explained thoroughly and used camera to show before and after pictures. Jonathan was very pleasant, professional and very helpful as I had to have some repairs done before he could start the duct cleaning. He took pride in his work, explained everything as he went along. Took pictures after. I would highly recommend him to others. On time, professional and a very fair price. He didn't think we need our vents cleaned at our Condo we are moving into. Honest and did a great Job. Thinking of hiring him for our house we are selling and my daughters house. The vents were spotless.